Guided walks - clclex's JimdoPage! Every spring and fall CLC offers several guided walks on various conservation lands in Lexington. All walks are free -- you don't have to be a member to join the fun! We occasionally offer winter walks as well! If you went on any of those, we'd love feedback. Let us know what you thought. The Town of Lexington Conservation Division provides online maps of all conservation areas. On this walk we’ll look for invertebrates of all kinds, particularly dragonflies, spiders, and butterflies. We’ll look under logs, whack tree branches to see what falls out, and sweep-net the grass. Children with adults are welcome. Meet at the parking lot off of North St. Rain or lightning will cancel the walk. Dunback Meadows during the end of September can offer surprises as the end of the return migration of vireos and warblers approaches; and the sparrow migration is increasing in numbers. Meet at the Allen St. entrance. Join Kate Fricker and Marie Roberts for a casual 2 hour walk around the trail system on the portion of DCR’s Beaver Brook North property that lies behind Brookhaven at Lexington located at 1010 Waltham Street. Kate and Marie will point out natural features as well as historical sites located on the property. The trails are well-graded making for easy walking. Don’t forget your water bottle. Meet at the entrance to the Brookhaven Nature Path adjacent to the employee parking lot where parking of guests is allowed. Or take the #3 Lexpress bus which stops at Brookhaven at 1:40 pm. If you have found the trail system in the Lower Vine Brook Conservation property confusing in the past and have not discovered the new colored arrow trail markers, this is your chance to reacquaint yourself with this property. Meet your guide at the trail entrance on the Fairfield Drive cul-de-sac between 9 and 15 Fairfield Drive. Be the first to walk ACROSS Lexington’s newest route. Route J links the Minuteman Bikeway with one of Lexington’s lesser-known Conservation properties, Liberty Heights. The route is steep in parts but the footing underneath is either on paved surfaces or level, smooth walking trails. Meet at the Waldorf School parking lot. Perhaps you were unaware that Lexington’s Whipple Hill Conservation property directly abuts Winchester’s Wright-Locke Farm property. This walk will explore the trails connecting these two open space properties with the added bonus of enjoying some late fall foliage color. Meet at the entrance to the Whipple Hill property at the crest of Lexington’s Winchester Drive opposite Berkshire Street, which is on the left. Park on Berkshire Street due to limited parking at the trail entrance and walk across Winchester Drive to the entrance. The Arlington Res and adjacent farm fields may be the best place in Lexington for bird variety. This walk will be looking for early arriving ducks and lingering fall migrants. Meet at the Arlington Res parking lot off of Lowell Street. Wright Farm is Lexington’s newest Conservation property that has not been previously birded by the public. Let’s see what gems are hidden away on this bucolic former farm. The address is 241 Grove St,, where parking is limited, so carpooling is encouraged. Parking is permitted on Carriage Drive opposite the farm. Warblers are small, beautiful tropical birds that fly north to breed. Over 15 different species of warbler stop off in this sheltered area during their spring migration to the forests in northern New England and Canada. Depending on the weather and the foliage, you may see a dozen species in a morning. Children with adults are welcome. Wear boots if it’s wet, and bring binoculars and a bird book. No dogs. More than light rain or lightning will cancel the event. If the weather is uncertain call the leader. Meet at the entrance to the Lower Vine Brook conservation area opposite 121 Vine Street. Garlic mustard seeds can take up to 7 years to sprout, which requires repeated efforts to control and eradicate this aggressive invasive species. Come join CLC’s multi-year effort to pull this year’s progeny from along the pathways in Lincoln Park. Bring gardening gloves. Steady rain cancels. Meet at the Fitness Path Trail entrance on Worthen Road across from the LHS playing fields. Celebrate Earth Day and Arbor Day by exploring Lexington’s newest Conservation property. Enjoy crafts, plant information and demonstration sessions, walk the newly marked trail - we will have nature crafts, seed plantings, invasive identification and eradication experts, a tree care demonstration, and a guided walk around the property (self-guided walkers are also welcome). Location: 241 Grove St. Parking is limited, so please carpool or bike if possible. Parking is allowed on Carriage Drive opposite the farm. This walk will explore how easy it is to connect these two popular conservation properties in an extended walk via quiet neighborhood streets and sidewalks. ACROSS Lexington’s Route A already provides a through connection linking these two properties, but the purpose of this walk will be to learn how combine walking these two properties in a shorter loop. Meet at the Willards Woods parking lot on North Street opposite 38 North Street. After partaking in the traditional Mom's Day brunch, come join this stroller-friendly family fun walk which includes boardwalks, forested paths, and sidewalks intermingled with schools, conservation land, and a favorite swimming hole. Meet at the Town Pool Parking Lot, 80 Worthen Road across from Hastings Park and next to the Town tennis courts and track facilities. Explore the opportunities for capturing the magic of spring at Whipple Hill in pixels with an experienced local photographer. Sunder Neelakantan will be your guide in how to best capture features of the property in memorable photographs. Steady rain cancels. Meet at the signed entrance to the property at the top of Winchester Drive opposite Berkshire Drive. Join us for this leisurely 2 mile walk around Arlington’s Great Meadows. The route will traverse a portion of the Minuteman Bikeway, town streets, and woodland paths. There will be short up hill portions to the trail with rocky footing along the way. Don’t forget your water bottle and walking sticks if you rely on them for balance. Meet at the trail entrance at the end of the rear parking lot behind the Excel Living Center at the end of Emerson Gardens Road. In celebration of Bike Walk Bus Week (May 12-20) we are offering the longer distance hiker an extended traverse of ACROSS Lexington routes B & H. This 6+ mile hike passes through two of Lexington’s larger parcels of open space: Dunback Meadow and Hayden Woods, in addition to traversing Cotton Farm, Upper Vine Brook, Lincoln Park, Idylwilde and the Old Res. Don’t forget to bring plenty of water. Meet at the Old Res parking lot on Marrett Road. Lexington is home to over 70 species of edible wild plants, both native and non-native, including plants considered to be weedy or invasive. Some are more nutritious and/or flavorful than their cultivated counterparts. Join Russ Cohen, expert forager and author of Wild Plants I Have Known...and Eaten, on a two-hour ramble in and around Lincoln Park to learn about at least eighteen edible species. Russ will present information on identification tips, edible portion(s), season(s) of availability and preparation methods, as well as general guidelines for safe and environmentally-responsible foraging. Steady rain cancels. Meet at the Fitness Trail entrance at the crosswalk on Worthen Road across from the Lexington High playing fields. On June 9 Lexington Goes Purple to end Alzheimer’s disease. One of the organized activities is a guided walk through Lincoln Park, one of Lexington’s most accessible open spaces. Centrally located across Worthen Road from the LHS playing fields, Lincoln Park includes a graded trail system landscaped with native plant species, as well as a boardwalk loop through wetlands with interpretive signage. The walk will leave from the Lexington Depot following side streets to reach the Park. Look for seasonal fall migrants including hawks, sparrows and several species of warblers in addition to a full array of our resident bird species in one of Lexington’s best and most reliable locations for bird watching. Meet at the Allen Street entrance opposite 23 Allen Street. Please join the Lexington Conservation Stewards and Citizens for Lexington Conservation for an afternoon celebrating the beginning of autumn and our local sweets. The Jewish New Year, Rosh Hashanah, is celebrated each fall with apples and honey, both of which are found at Cotton Farm, one of Lexington's loveliest conservation lands. This event is family friendly, with apple and honey tasting, and bee and tree investigations. The Lexington High School Bee Keeping Club will be on-hand to show-off their Cotton Farm Apiary while Citizens for Lexington Conservation will offer its Junior Ranger Program, from 1:00-3:00. Explore two of Lexington’s less traveled Conservation properties (show of hands, how many have ever been to Liberty Heights?) and enjoy early Fall color. Gently graded paths and sidewalks. Meet at the intersection of Oak Street and Massachusetts Avenue with parking along Mass Ave on either side of Oak Street. No registration necessary. Be amongst the first to explore ACROSS Lexington’s newest addition, Route H. This 3.8 mile route wends its way around the Old Res, through a wooded portion of the Bridge School property and both the Idylwilde and Hayden Woods Conservation properties, as well along a newly completed Town trail through the Shire property off of Shade Street. Steady rain cancels. Meet in the Old Res parking lot on Marrett Road. Oct. 22, 1:30-3:00 pm: "Walk in My Moccasins" at the Paint Mine. View the Paint Mine Conservation area through the eyes of Native Americans who lived there before the colonists came. Find out how native people used plants, animals, and minerals from this special place for food, clothing, shelter, medicine, toys and ceremonies. Meet at the parking lot of Estabrook School, 117 Grove St. Children with adult companion are encouraged to attend. Late fall is one of the best times to visit the Whipple Hill Conservation property. With the leaves off of the trees the property’s magnificent stone walls and rocky features of the landscape really stand out. Sunder Neelakantan will be your guide in how to best capture these and other features of the property in memorable photographs. Steady rain cancels. Meet at the signed entrance to the property at the top of Winchester Drive opposite Berkshire Drive. Dunback Meadow’s variety of habitats include meadow, forest, and a brook, making this property an excellent place to look for spring migratory bird species. Possibilities include the early warblers, vireos, kinglets, and sparrows; not to mention our resident bird species including woodpeckers, nuthatches, and chickadees. Meet at the Allen St. entrance op- posite 23 Allen Street. The walk will be cancelled in the event of rain. The Arlington Reservoir and adjacent Busa Farm fields provide one of the best areas in the Lexington-Arlington area to observe a wide range of spring migratory bird species. Come see why Marj Rines of the Menotomy Bird Club considers this area “the best birding per square inch in the state.” Meet at the Rindge Avenue playground opposite 24 Rindge Avenue. Heavy rain cancels. Warblers are small, beautiful tropical birds that fly north to breed. Over 15 different spe- cies of warbler stop off in this sheltered area during their spring migration to the forests in northern New England and Canada. Depending on the weather and the foliage, you may see a dozen species in a morning. Children with adults are welcome. Wear boots if it’s wet, and bring binoculars and a bird book. No dogs. More than light rain or lightning will cancel the event. If the weather is uncertain call the leader. Meet at the entrance to the Lower Vine Brook conservation area opposite 121 Vine Street. Garlic mustard seeds can take up to 7 years to sprout, which requires repeated efforts to control and eradicate this aggressive invasive species. Come join CLC’s multi-year effort to pull this year’s progeny from along the pathways in Lincoln Park. Bring gardening gloves. Meet at the Fitness Path Trail entrance on Worthen Road across from the LHS playing fields. Explore ACROSS Lexington trails by bike! This easy-to-moderate 2-hour ride will take us through a number of Lexington’s most scenic open spaces including Upper and Lower Vinebrook, Cotton Farm and Dunback Meadow, the Old Res, and Lincoln Park. We will travel via Town streets, paved bike paths and unpaved walking trails. Be prepared for somewhat rough trail conditions; a bike with sturdy tires for trail riding and a helmet are required. Bring water and a snack. Meet in the Town employee parking lot adjacent to the Minuteman Bikeway crossing at Fletcher Avenue. Bonus points for those who ride their bicycles to this event. Questions? Call Peggy at 617-308-8185. Join us on this leisurely walk as we explore the historic and scenic byways of Hayden Woods. During our travels we will walk one of the oldest colonial roads in the Common- wealth, take a side trip a short distance off trail to marvel at an unusual example of colonial stone working, and visit one of the most perfectly sited stone benches in Town. Walking will be on well-graded woods trails with one short steep section and the usual occasional rocks and roots under foot. Sneakers are fine. Don’t forget your walking sticks if you rely on them for balance. Meet at the rear of 45 Hayden Avenue in the third parking lot on your left opposite the signed Conservation trail entrance. In celebration of Bike Walk Bus Week (May 13-21) we are offering the longer distance hiker an extended traverse of ACROSS Lexington routes C&D. This 5+ mile hike passes through two of Lexington’s largest parcels of open space, Whipple Hill Conservation area and Arlington’s Great Meadow, owned by the Town of Arlington but wholly within Lexing- ton; in addition to passing the Arlington Reservoir and the Busa Farm Fields now man- aged by LexFarm along the way. Don’t forget to bring plenty of water. Meet at the Waldorf School parking lot on Massachusetts Avenue. Lexington is home to over 70 species of edible wild plants, both native and non-native, including plants considered to be weedy or invasive. Some are more nutritious and/or flavorful than their cultivated counterparts. Join Russ Cohen, expert forager and author of Wild Plants I Have Known...and Eaten, on a two-hour ramble in and around Lincoln Park to learn about the dozen or more edible plant species that are common to this prop- erty. Russ will present information on identification tips, edible portions, seasonal availa- bility and preparation methods, as well as general guidelines for safe and environmen- tally-responsible foraging. Meet at the Fitness Trail entrance at the crosswalk on Worthen Road across from the Lexington High playing fields. The goal of the ACROSS Lexington project is to connect Lexington open spaces with easy and enjoyable walkable routes through Lexington’s neighborhoods. Route B, which connects the Minuteman Bikeway in Lexington Center with Lincoln Park, the Old Res, and the Dunback Meadow, Cotton Farm and Upper Vine Brook Conservation properties, will be the focus of this 4.5 mile walk. Walkers will encounter a combination of paved surfaces and natural woods trails with no steep grades. Ordinary walking shoes or sneak- ers are fine. Bring your own water and a snack. Meet behind at the Depot on the Bikeway in Lexington Center. Bring the kids and join us for an "in-and-out" walk through a portion of Arlington Great Meadows, complete with meadow, forest, and boardwalks over wetland habitats. We will explore our surroundings and investigate whatever we find. Inclement weather cancels. Meet in the parking lot behind the Excel Assisted Living Center at the end of Emerson Gardens Way. Here is your chance to explore ACROSS Lexington’s latest addition, Route G, which connects the Lower Vine Brook Conservation area portion of Route B with Countryside Green and the Shaker Glen Conservation area. The route is just under 3 miles in length with a combination of woods trails, sidewalks and quiet streets. Meet in the rear parking lot of the Christ Revolution Church, 451 Lowell Street. Come see what Hennessey Field has to offer in the fall! The weather is getting cooler and the leaves are starting to fall - that's how we know it's autumn. Let's see what we can find as we take a look around this newly restored meadow - we might see birds, bugs, mammals, and certainly plants. This adventure is designed for families with children of all ages, from toddlers to teens. Meet at the dead end of Robinson Road, where the pavement turns to a cart path. Explore ACROSS Lexington trails by bike! This easy-to-moderate 2-hour ride will take us through a number of Lexington’s most scenic open spaces including Upper and Lower Vinebrook, Cotton Farm and Dunback Meadow, the Old Res, and Lincoln Park. We will travel via town streets, paved bike paths and unpaved walking trails. Be prepared for somewhat rough trail conditions; a bike with sturdy tires for trail riding and helmets are required. Bring water and a snack. Meet in the Town employee parking lot adjacent to the Minuteman Bikeway crossing at Fletcher Avenue. Bonus points for those who ride their bicycles to this event. Questions? Call Peggy at 617-308-8185. Walk leader: Peggy Enders (617-308-8185, peggyenders@gmail.com). If you have ever been lost on the trails in Whipple Hill or been too intimidated to explore this property, this is the walk for you. We will be exploring the Conservation Department’s new trail signage system for this property that was installed earlier this year. The trails are steep in spots with uneven footing, so bring your hiking poles if you rely on them when hiking. Meet at the Winchester Drive entrance parking lot where Winchester Drive becomes Johnson Road on the Lexington/Winchester line. Park on Berkshire Drive across from the parking lot entrance on Winchester Drive. CLC is in the process of assuming a Conservation Restriction for Cotton Farm. If you would like to learn the basics about Conservation Restrictions, join us for this combination field lecture and ramble about the property. We will explain the reasons for establishing a Conservation Restriction, its basic elements, and the annual monitoring process. Expect some standing interspersed by casual walking around this gently sloping property. Meet at the entrance to Cotton Farm on Marrett Road opposite Bacon Street. There is very limited parking on the property so please park along Marrett Road. Warblers are small, beautiful tropical birds that fly north to breed. Over fifteen different species of warbler stop off in this sheltered area during their spring migration to the forests in northern New England and Canada. Depending on the weather and the foliage, you may see a dozen species in a morning. Children with adults are welcome. Wear boots if it’s wet, and bring binoculars and a bird book. No dogs. More than light rain or lightning will cancel the event. If the weather is uncertain call the leader. Meet at the entrance to the Lower Vine Brook conservation area opposite 121 Vine Street. Join us as we stroll along through some of Lexington's field, forest, and wetland spaces, reading In the Tall, Tall Grass and looking for real-life characters from the story in our surroundings. Designed for preschool and young elementary children and their care-givers we'll bring a book to life as you enjoy the great outdoors. Meet at the entrance to the Lincoln Park Fitness Path on Worthen Road across from the Lexington High playing fields. Inclement weather will cancel the walk - check CLC website or email Walk Leader. Join Cary Memorial Library for a StoryWalk(R)! We'll enjoy a walk while reading Denise Fleming's In the Tall, Tall Grass. The StoryWalk(R) is produced in partnership with The Citizens For Lexington Conservation and Cary Memorial Library. Meet at the entrance to the Lincoln Park Fitness Path on Worthen Road across from the Lexington High playing fields. Inclement weather cancels. Have you been wondering about what is going on around the stream below the pond at Willard's Woods? This is your chance to hear about it from the project managers. The DPW Engineering Division has elected to open up a long culverted stream rather than simply replace the failing culvert. Town Engineers John Livsey and Dave Pavlik will explain the thought and processes that went into the project. Meet at the Willard's Woods North Street Parking Lot. Inclement weather will cancel. While this is a time of quiet in Dunback Meadow, there remain possibilities of viewing unusual birds such as perching owls (Northern Saw-whet Owl, Barred Owl, and Great Horned Owl), Common Redpolls and Rough-legged Hawks. Our usual feathered residents, the Black-capped Chickadee, Tufted Titmouse, Downy Woodpecker and Blue Jay, will be there also. If there is deep snow wear boots, as the walking can be rough. Beginners and children are welcome. If there is rain or a snowstorm, the walk would be cancelled. Meet at the entrance on Allen St. where parking is available. Walk Leader: Bobbie Hodson (robertahodson@comcast.net; 781-861-9421). Meet at the Allen Street entrance to Dunback Meadow. During the early fall many mi- grants return through our fields and woods. Warblers, finches, hawks, and sparrows may be seen. Children with adults and beginners are welcome. Bring binoculars if you have them. Boots are recommended if there has been rain recently. Rain or lightning will cancel the walk. We will start at the Allen Street entrance to Dunback Meadow. Children with adults are welcome. Meet naturalist and nature photographer Tom Whelan on a nature walk at Dun- back Meadow. We will explore the Dunback Meadow area for fall insects: dragonflies, butterflies, bees, and other many-legged creatures. People attending are encouraged to bring cameras for insect photography. On the walk, we can discuss techniques and equip- ment for closeup photography. Severe inclement weather will cancel the walk. Meet at the parking area at Cotton Farm (entrance at 121 Marrett Road). Parking is lim- ited, but you can park along Marrett Road. Kids old enough to enjoy the walk are wel- come. We will walk by the apple orchard (Macouns--a bumper crop this year–are free for the taking) and then up through the gladed area to the Upper Vine Brook woods, ending at Highland Avenue. After returning to the parking area, for those who have additional time, we will cross over Marrett Road to Dunback Meadow and walk up to "four corners" and back. Highlights of the new Land Management Plan for Cotton Farm will be ex- plained. Rain or lightning will cancel the walk. We will meet at the corner of Oak Street and Bruce Road. Best parking is along Massa- chusetts Avenue on either side of the Oak Street intersection. Walk up Old Shade Street a short block to Bruce Road. Come explore a collection of Lexington's smaller Conserva- tion properties with some rewarding views on a fall afternoon. Come explore a collection of easy with the steepest grades along sidewalks for the most part. Find out about how Native Americans used the natural resources in this area. Find out why this area is called the Paint Mine. This walk will be especially oriented to families with children. Participants will meet in the parking lot at Golden Living Center – Lexington, at 840 Emerson Gardens Rd. (off Maple Street) in East Lexington. The parking lot is on the right side of the facility, and drivers should park at the far end. This walk will be co- sponsored by Citizens for Lexington Conservation and the Massachusetts Butterfly Club. Butterfly enthusiast Tom Whelan will lead a walk to see two species of spring butterflies, Brown and Henry’s Elfins. These small, easily overlooked butterflies are found in many parts of the United States and Canada. Since these species overwinter in the chrysalis stage, their lives as adults begin butterflies. If time permits, additional insects will be sought at adjacent Infinity Pond, a certified vernal pool. People of all ages are welcome; children must be with an adult. Please sign up for the walk in advance, preferably by email (tom@whelanphoto.com) or phone (781-915-9988). Walk Leader, Tom Whelan, will notify those who sign up if the weather requires cancelling the event. Meet at the Allen Street entrance to Dunback Meadow. In early May we are in the midst of several weeks of migration as many species of birds quickly head north to their breeding grounds as well as the many birds who come to this area to spend the summer. In addition, we may find some of our residential birds, such as woodpeckers and hawks. Although the ground is slightly rough, the pace is slow so the walk is accessible to most. Children with adults and beginners are welcome. 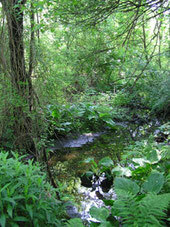 We will enjoy a varied habitat, including mixed woods, open fields, and a stream. Bring binoculars if you have them. Boots are recommended if there has been rain recently. Rain or lightning will cancel the walk. Meet at the Bikeway parking lot off Bow Street where the Minuteman Bikeway crosses. Join us for a guided walk on ACROSS Lexington’s newest routes. There will be an option part way through the walk to stay on Route C for an earlier return around 5:30 or branch off to Route D with an estimated return of 6:30 for those who want the full experience. Walk Leaders: Eileen Entin (eileenhome@gmail.com; 781-862-6418), Bob Hausslein (rhausslein@rcn.com; 781-862-9102). 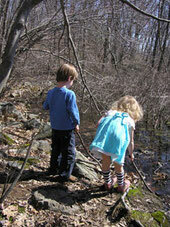 Thursday, May 21, 2 – 3 PM Pond Exploration at Parker Meadow Geared for children in grades K – 5 accompanied by an adult. CLC will be offering a first ever series of snowshoe walks this winter. The purpose of these walks will be to get outside and make use of those snowshoes that you may have long neglected while enjoying the winter scenery of New England winter. The use of ski poles is recommended, and don’t forget to bring your water bottle to avoid becoming dehydrated. Falling rain or heavy snow will cancel the walk. If snow cover is thin we will walk anyway but perhaps leave the snowshoes behind. Meet in the parking lot for 110 Hartwell Avenue. Meet at the parking area under the high tension power lines on Turning Mill Road. Meet in the Employee parking lot at Brookhaven at Lexington, 1010 Waltham St. Bear to the right on entering the grounds at Brookhaven following the Event Parking signs. The lot is the first on your right. While this is a time of quiet in Dunback Meadow there remain possibilities of viewing unusual birds such as perching owls (Northern Saw-whet Owl, Barred Owl, and Great Horned Owl), Common Redpolls and Rough-legged Hawks. Our usual feathered residents, the Black-capped Chickadee, Tufted Titmouse, Downy Woodpecker and Blue Jay, will be there also. If there is deep snow wear boots, as the walking can be rough. Beginners and children are welcome. If there is rain or a snowstorm, the walk would be cancelled. Meet at the entrance on Allen St. where parking is available. Walk Leader: Bobbie Hodson (robertahodson@comcast.net; 781-861-9421). Who is prowling around the Paint Mine this time of year, and what have they been up to? Who is sleeping winter away in this beautiful conservation area? Join us to explore tracks, food stashes, nests, cocoons, and other signs that critters leave behind in the winter. If there is snow we’ll learn the basics of telling track stories about animal adventures. This event is geared towards elementary school children and their caregivers; children must be accompanied by an adult. Dress warmly! This event will be held with or without snow, but will be cancelled in case of heavy rain. Meet at the entrance near 54 Turning Mill Rd. 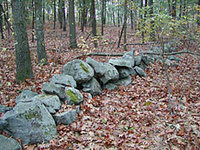 Walk Leader: Fran Ludwig, (fludwig12@yahoo.com; 781-861-7231). This walk is geared to adults and children 8 and up accompanied by an adult. Have you ever wondered how to identify trees in winter? Come learn how you can become a Twig Detective as we explore Hayden Woods. We will sharpen our observation skills, learn to use identification keys and develop an appreciation for the great variety of trees growing in Lexington. Terrain is varied so appropriate footwear is a must. Severe inclement weather will cancel the walk. Meet at the entrance at the end of Valleyfield St. Walk Leader: Linda Arnow (linda.arnow@gmail.com; 781-861-7397). Since this is a time when migrants are returning to their more southern winter homes from northern areas, we have the possibility of viewing warblers, vireos, hawks, flycatchers and spar- rows that are not usually at Dunback Meadow during the summer months. Our usual feathered residents, such as Downy Woodpecker, Carolina Wren, Black-capped Chickadee, American Goldfinch and Tufted Titmouse, will also be around. Beginners and children are welcome. If it rains the walk will be cancelled. Meet at the entrance on Allen St. where parking is available. Walk Leader: Bobbie Hodson (robertahodson@comcast.net; 781-861-9421). Children and parents/grandparents/aunts/uncles/adult friends will enjoy a walk in Dunback Meadow, where varied habitats provide food and shelter for many kinds of wildlife. Citizens for Lexington Conservation has started a new Junior Ranger program for children to increase their enjoyment and appreciation of the natural world. A copy of the 9-page Junior Ranger booklet can be downloaded at CLC's website: www.clclex.org. (activities and publications). If possible please bring a copy of the booklet with you for the walk. We will primarily be observing, listen- ing, identifying, and enjoying Dunback Meadow. If it rains the walk will be cancelled. Meet at the entrance on Allen St. where parking is available. Walk Leader: Bobbie Hodson (robertahodson@comcast.net; 781-861-9421). This walk is geared for children in grades K – 5 accompanied by an adult. Join Fran Ludwig for a prowl around Parker Meadow to look for bugs, tadpoles, frogs, snails, and fish. We’ll dip a net into the water to see what kinds of critters are wriggling around below the surface. Bring rain boots if you have them and be prepared to get dirty. If you have a small bug box or magnifier, bring it along. Rain or lightning will cancel the event. Meet at the Revere St. entrance to Parker Meadow. Limited parking is there; additional parking is available on neighborhood streets across Revere St.
Join us to explore Route C, the most recent addition to Lexington’s ACROSS (Accessing Con- servation land, Recreation areas, Open space, Schools and Streets) trail system. The walk will take us through a part of Arlington Great Meadow, where we hope to see colorful foliage, and around LexFarm and part of the Arlington Reservoir. Meet at the Waldorf School parking lot at 739 Mass Avenue. Heavy steady rain cancels the event. Walk Leader: Eileen Entin (Eileenhome@gmail.com; 781-862-6418). Join us to walk off those turkey leftovers as we explore the Cranberry Hill Conservation property and the adjacent watershed lands of the Cambridge Watershed Authority. Along the way we will enjoy some of the best vistas as well as one of the largest and best-preserved fieldstone foun- dations to be found in Lexington. We will hike in all but steady rain. Wear appropriate footgear for hilly woods trails and actual weather conditions. Hiking poles would be useful, especially if the ground is frozen. Meet at the end of parking lot C in the Cranberry Hill Office Complex. The entrance to the office park is on Massachusetts Avenue, just south of Marrett Road. Walk leader: Keith Ohmart (Kohmart@verizon.net; 781-862-6216). CLC will be inaugurating a series of snowshoe walks for its program of winter walks this coming season. This will be a series of three walks that will be scheduled for weekend dates in the months of January and February. The purpose of the walks will be to simply get out and use those snowshoes that you have tucked away in your basement or garage, while enjoying explor- ing some of our open space parcels in their winter splendor. Watch for further details when we publish information about our winter walk series.